Vida's second Best of Breed awarded from the 9-12 Puppy Class was presented to her by Judge Elizabeth Muthard at the Greeley Kennel Club show on August 16, 2008. Vida is well on her way to her AKC Championship! 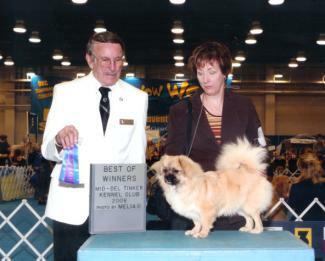 Judge Virginia Lyne awarded Vida her first Best of Breed on June 29, 2008 at the Oklahoma City Kennel Club show. 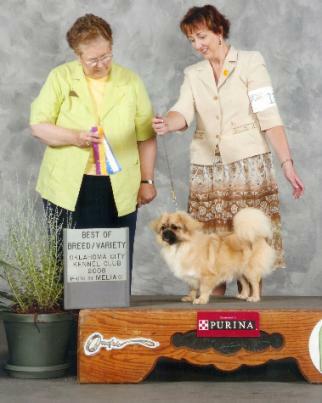 This was her debut weekend of shows and she was exhibited in the 9-12 Puppy Class; handled by co-owner Judy Nickelson. 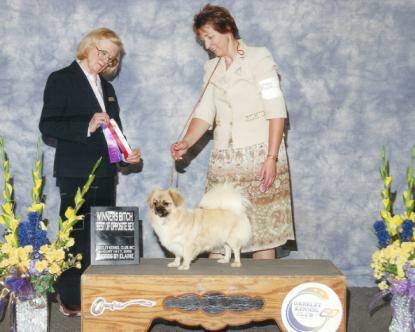 At the Oklahoma City shows in June 2008, Vida kicked off her show career in style by taking Best of Winners under Judge Robert Sturm on June 27. She was handled by Judy.